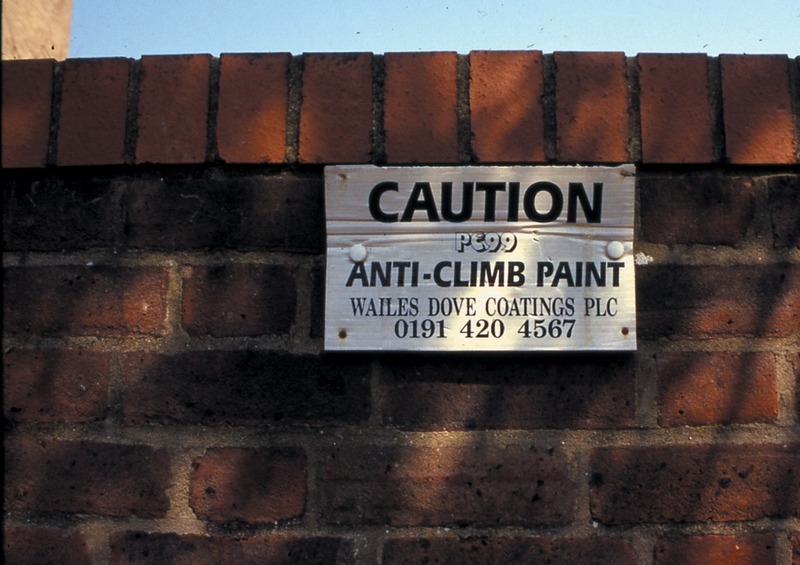 Anti-climb paint comes in a variety of colours and types. Three common types are: the hard slippery dry version, the dry powdery version and the wet grease-like version. The last two soil the climbers clothes and skin with paint.